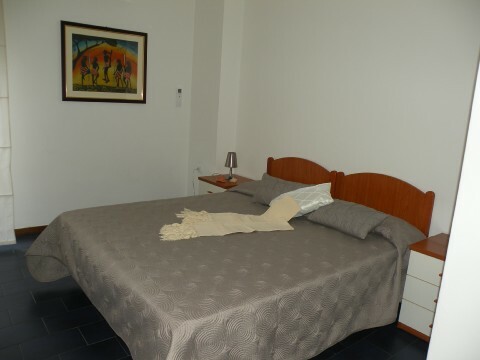 Bed and breakfast very cozy on the second floor of a building in the center of Cagliari in a strategic position from which you can walk to the main shopping streets of the city, such as Via Alghero, Via Garibaldi, Via Manno, Via Dante Alighieri, Via Sonnino and Via Roma. Its strategic location also allows you to reach the major tourist attractions, such as the most important monuments of the city. Nearby there are banks, ATMs, post office, bars, restaurants, supermarkets, opera house, parks, churches, health clinics, hospitals and pharmacies. A short distance away you can find stations of car sharing and bike sharing. The B & B is just minutes from the port and from the railway station as well as from the main bus lines that allow you to reach easily and quickly all around the city, including the beach Poetto. The property is 20 minutes drive from the airport, 5 minutes by car from the port and the railway station and the carrier; 15 minutes' drive from Poetto Beach, 10 minutes by car from the fairgrounds and the stadium S. Elia. The B & B has three rooms with private bathroom where you can find all the amenities for a pleasant stay. To try to make Your stay as pleasant as possible, we are available to provide guidance on how to reach and visit the most beautiful places of the city of Cagliari and its surroundings.